(1) 3406 Cat - 425 hp air-to-air, Rebuilt, new fuel pump, no core, 1 year warranty : $12,500.00. (1) 3306 Cat, Rebuilt, dyno tested, no core, 1year warranty: $12,500.00. (1) E-model Cat Block, crank broken, complete brake and saver unit and housings: $500.00. (1) Cummins N-14, 2592 CPL, 525 hp, Reconditioned, no core, 80,000 kms, 1 year warranty: $12,500.00. (1) 5.9 Cummins 12 Value, 280 hp, Reconditioned, 120,000 kms, 90-day warranty: $6,000.00. 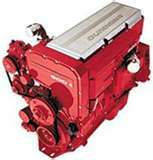 (1) 5.9 Cummins 12 Value Rotary Pump (New), new head, 190 hp, 90-day warranty: $4,500.00. (1) LTO Cummins, Reconditioned, VS Gornver, 270 hp, dyno tested, 90-day warranty: $12,000.00. Farm project (1) 118 Verstile with PTO, new rod and clutch, over $4,000.00 spent in engine parts, 378 V-6 Cummins, Big Cam, new turbo engine in pieces, AS-IS: $3,000.00. (1) Atco tandom Rig Trialer, 10' x 24', furance, new panels, rewired, AS-IS: $3,500.00.